Make Equipment More Affordable | LEAF Commercial Capital, Inc. Trusted by nearly 250,000 businesses, we offer customized financing that helps our customers solve real problems. Achieve more with LEAF. We make your equipment easier to buy with finance programs that solve real problems and power long-term sales growth. It’s easier with LEAF. Fast and simple…sure. Add in customized, flexible and built to solve real problems…now that’s LEAF. Make your equipment easier to buy with a program to power sales. This is more than just financing. Control the sale and build your brand without the cost or capital commitment of legacy captive leasing and financing. And it’s easy with our quick quote tool! Drag the bar to the amount you need to finance. And it’s easy with our quick quote tool! Tap the line at the amount you need to finance to move the bar below. Get started by clicking the button on the right. 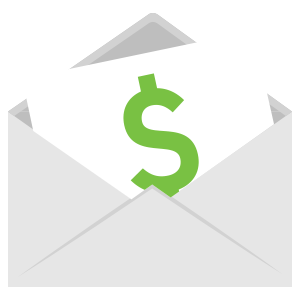 Click below to instantly have your estimated payment sent to your inbox. Your quote is calculated and ready for you, just tell us where to send it! A 2% structuring fee is applied to the payment. * Maintenance payments are interest only payments. Scroll over the building to see some of the equipment and software LEAF leases and finances. Tap on the icons over the building to see some of the equipment and software LEAF leases and finances. New hires, new inventories, new marketing…and new expenses before revenue arrives. You need LEAF CapitalNow™. For needs of $25,000 to $250,000, LEAF CapitalNow™ is flexible financing that makes growth not just possible…but affordable.